Discover the secrets of Colombian cooking through an expert-led cooking class in Bogotá. 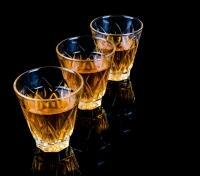 Sample potent aguardiente at a tasting session and learn about coffee’s important to Colombia in Quindío. 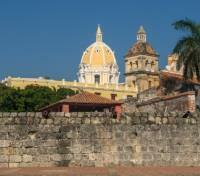 Explore Cartagena’s UNESCO-protected architecture with a private guide. Relax at an idyllic Caribbean resort in the beautiful Rosario Islands. Despite a host of natural, historical, and architectural treasures, Colombia remains one of Latin America’s least explored and most misunderstood countries. This compelling itinerary sets out to change that, combining the highlights of dazzling Bogotá, the sensorial pleasures of the Quindío coffee region, magical Cartagena, and the glorious Rosario Islands into a single life-altering experience. It all starts in Bogotá, Colombia’s vibrant capital. The best way to get to know a new place is through its food, as you’ll discover via an expert-led Colombian cooking class and a visit to the lively Paloquemao farmers’ market. Later, soak up the city’s bountiful energy on a privately guided tour of La Candelaria its signature sights, including Plaza Bolívar, Museo Botero (home to a huge collection of artworks by Fernando Botero, Colombia’s beloved artist), and the Gold Museum before taking in an incredible view of the city from the Monserrate viewpoint. Finally, head north to the edge of the Caribbean Sea and Cartagena, the romantic “Venice of Colombia.” Your first introduction to this historic and beautiful city comes as part of a private half-day architecture tour, where you’ll encounter the marvels of this UNESCO-protected city. Lastly, unwind from this busy adventure with a handful of relaxing days at an exclusive resort in the gorgeous Rosario Islands. 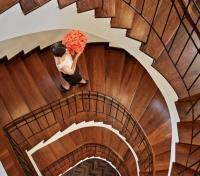 Long recognized as one of the finest Bogota hotels, this stately and urbane jewel of composure and calm is now a signature Four Seasons experience. 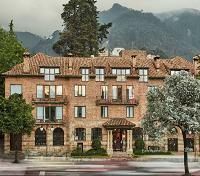 The Four Seasons Hotel Casa Medina Bogotá has been declared a monument of cultural interest by the Colombian Ministry of Culture, evident when you step through the doors and are enveloped in welcoming residential comfort, with Spanish colonial accents such as beamed ceilings set off by an eclectic blend of the artisanal and the contemporary. The Hotel's flagship restaurant and bar adds an elegant new destination to the exciting Bogota restaurant scene in the Zona G, featuring the best of Spanish cuisine and cutting-edge mixology. The hotel’s facilities and location offer endless opportunities for sightseeing, relaxation and recreation. This cooking experience offers you a great opportunity to learn first-hand about Colombian cuisine. During this experience, you will be able to cook a traditional Colombian meal as well as immerse yourself in day-to-day life in Bogota. First, you will shop for lunch at Plaza de Paloquemao, one of the largest and most popular markets in Bogota. You will be amazed by the variety of fresh fruits and vegetables found there. Then, attend a cooking school to attend a class and learn to prepare a delicious Colombian dish for you to enjoy. Definitely, the perfect tour for curious travelers looking to have new culinary experiences everywhere they go. You will be picked up from your hotel by private vehicle and guide to begin your historical city tour from the north of Bogota. La Candelaria is Bogota’s heart and soul, from its humble beginnings, this is the oldest part of the city and the Plaza Bolivar (Main Square) are high on any visitor’s agenda. As you wander the streets of La Candelaria, away from the main square, your guide will explain the history of Bogota as well as the intricacies of current Colombian culture and daily life. There will be time for a refreshment stop in one of the city’s coffee houses. After this short break you will head on to the Botero Museum. Here you’ll discover a permanent collection of works of art by Fernando Botero, Colombia’s most famous artist who’s "oversized” art is instantly recognizable. The museum not only houses work by Botero but also other world-famous artists such as Dali, Monet and Van Gogh. After touring the museum, you will stop in one of the local restaurants close to the square for a chance to sample some local Colombian cuisine. The next stop after lunch will be the Gold Museum. The Museum has one of the finest collections of pre-Hispanic gold in the world, with more than 35,000 pieces of pre-Colombian gold work in the collection. 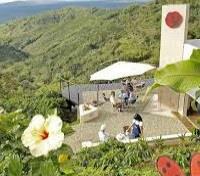 Next you will visit the finest view point of Bogota, the hill top lookout and monastery of Monserrate. The summit can be reached by either funicular railway or cable car. 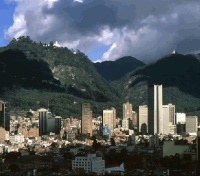 From the highest point the view across the city will enable you to see the different barrios of Bogota. The new convent is a pilgrimage site for many Colombians whom, during Easter week, make their way past the fourteen Stations of the Cross until reaching the convent at the summit. Please note: The Gold Museum is closed every Monday, and Botero Gallery is closed every Tuesday. Zona G, Bogota’s premier district for outstanding cuisine, is a must-visit for gastronomically-inclined. Here you will find some of the best food in the country, served in award-winning diners including Local by Rausch, El Chato, Osaka Cocina Nikkei, Casa, Segundo, El Bandido and Harry Sasson, among many others. Tonight, consider making reservations at one of these excellent restaurants to savor some of the best cuisine in the country. Please speak to your Destination Expert for further information or recommendations. You will be privately transferred between Bogota's El Dorado International Airport and your hotel by a professional driver and an English-speaking guide. Approximate travel time is 45 minutes, though varies based on the location of your hotel. 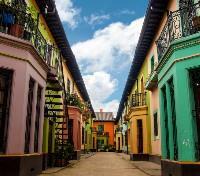 Board a flight in Bogota with service to Armenia. The flight duration is approximately one hour. You will be privately transferred from Armenia Airport to your hotel in the Quindio Coffee Region by a professional driver and an English-speaking guide. Approximate travel time is one hour. Aguardiente, translated from Spanish, reads “firewater.” With an alcoholic content range between 29% and 60%, the name is well-earned. Fermented from a range of sources from fruits like oranges, grapes and bananas to grains include millet, barley and rice, from tubers like beets or potatoes, and finally, from more traditional sources like sugarcane and certain types of bamboo. In Colombia, production of aguardiente is strictly regulated. All spirits must range between 24% and 29% in alcoholic content, and while each region is permitted to produce their own local blend, these cannot be sold outside of their province. As a result, aguardiente has taken on unique flavors and characteristics over the years. At Hacienda Bambusa, a range of unique Andean aguardientes are available, and today you will enjoy a three-hour tasting experience to learn about how this beverage is produced, highlighted by tastings of unique mixtures. Hacienda Bambusa Hotel was conceived as a place where guests can enjoy the privacy that can only be found in your own home, but with the comfort and services that only an excellent hotel can provide. Located in the southern part of this breathtaking ‘coffee land,’ it is a typical bamboo colonial style house surrounded by banana plantations, cattle fields, and featuring a majestic open view of the Andes Mountains. 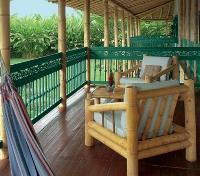 Ideally arranged for rest and relaxation, the spacious rooms all have views of the pool and/or scenic gardens, immersing the guest into a cultural paradise of bamboo guadua forests, rivers, creeks, and various fruit crops. The restaurant, run by Luz Adriana Martinez, serves a delicate and delicious variety of haute cuisine dishes exclusively for guests. 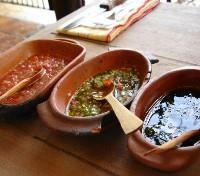 Many of the dishes are prepared with products that are cultivated on the hacienda itself. Privileged by its environment and climate, the Hacienda Bambusa Hotel has been gifted with a stunning landscape and atmosphere that will embrace you like no other. The sprawling Hacienda Bambusa property is largely populated by cacao trees, though the network of trails feature a wide range of rare plants and trees including a Guadua forest of Colombian bamboo. The bamboo is a popular among winged creatures, and as a result the trees of Bambusa are often filled with a range of exotic birds. To discover this for yourself, set out with an English-speaking guide on a two-hour hike that will introduce you to the property. After exploring the estate, return to the main lodge where you will participate in a one-hour cacao workshop with the head chef at Hacienda Bambusa. 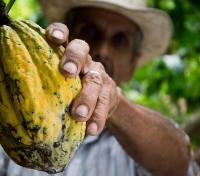 During this demonstration, learn the holistic process of turning cacao beans to hot cocoa, capping off the experience with a sample paired with fresh cheese or an arepa. Coffee is the heart and soul of this area and today you will see how this simple bean affects every part of the region on a privately guided tour. 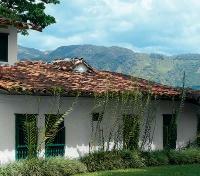 Tour the beautiful Hacienda San Alberto and learn all about the coffee process from start to finish. After your tour of the coffee nursery, coffee fields and processing plant, you will participate in a sensory experience to awaken your senses so that you may fully understand and enjoy the complex art of coffee tasting and quality selection. 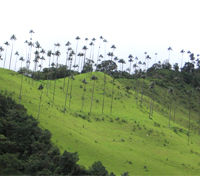 You will next visit The Botanical Gardens in Quindío. What makes this particular garden wonderful is its mix of accessibility and wildness. The paths are clear, but minimal, outlined with Guadua taken from the fallen stalks that decorate the forest. The main selling point of the garden is the Mariposario – or butterfly house. This net structure is built in the shape of a butterfly and is home to an array of surprisingly friendly butterflies. You will also have the opportunity to learn about coffee tasting, the different aromas and textures of Colombia’s most famous export before you are returned to your accommodation at days end. Lunch is included in your tour. You will be privately transferred from your accommodations in the Quindio Coffee Region to Armenia Airport by a professional driver and an English-speaking guide. Approximate travel duration is one hour. 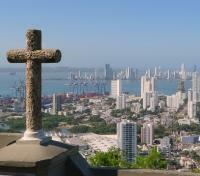 Board a flight in Armenia with service to Cartagena via Bogota. Flight duration is approximately three hours and 30 minutes. You will be privately transferred between your hotel and Cartagena Airport by a professional driver and an English-speaking guide. Approximate travel time varies based on the location of your hotel, typically averaging 30 minutes. The exquisite Casa San Agustín is a luxurious small hotel, lovingly restored and reimagined for a new generation of travelers. Echoing Cartagena’s fresh contemporary style and colorful Caribbean sensibility, its trio of colonial era white-washed buildings exudes the warmth of a magnificently appointed private residence. From the original frescoes paintings in the library, to the centuries-old wood-beamed ceilings, the Casa San Agustín’s art and architecture evoke the city’s rich history as a 17th century Spanish stronghold. 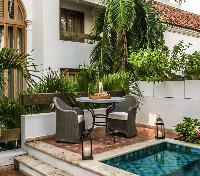 Located within Cartagena’s walled Old Town, the hotel features elaborate guest rooms and suites, each taking its color cue from the nearby Caribbean Sea. Shades of soft blue mix with specially commissioned furnishings and fixtures to create spaces of singular beauty and originality. The country’s abundance of seafood and exotic ingredients inspires the contemporary coastal Colombian cuisine of Alma, the hotel’s signature restaurant, and its charming bar and nearby alfresco courtyard – two picturesque settings for conch, ceviche and custom-crafted cocktails. 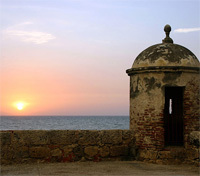 With some of the most impressive colonial buildings in Latin America, Cartagena is best understood and appreciated with the assistance of a local architectural expert. After meeting your guide for the day, set off to La Popa Convent, constructed in the early 1600’s, and found on a hill overlooking the city. With a history to match its impressive architectural features, the visit is one you’re sure to remember. Later in the day you’ll arrive at Cartagena’s most historic theater, eclectic Heredia Theater, which was built in the early 20th century atop the ruins of Church de la Merced. 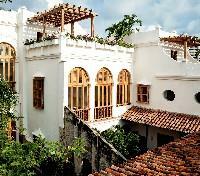 Following an informative tour of the performance center, you’ll head to Casa Museo Rafael Nunez. Your last stop for the day, this residence-turned-museum was once the home of four-time Colombian President Rafael Nunez. A striking colonial mansion, you’ll tour the residence and learn of early Colombian history before returning to your awaiting vehicle which will return you to your hotel. Sweet-smelling restaurants, trendy bars, inviting boutique hotels and well-maintained colonial buildings define the city center of Cartagena – also known as the Walled City, or Ciudad Amurallada. 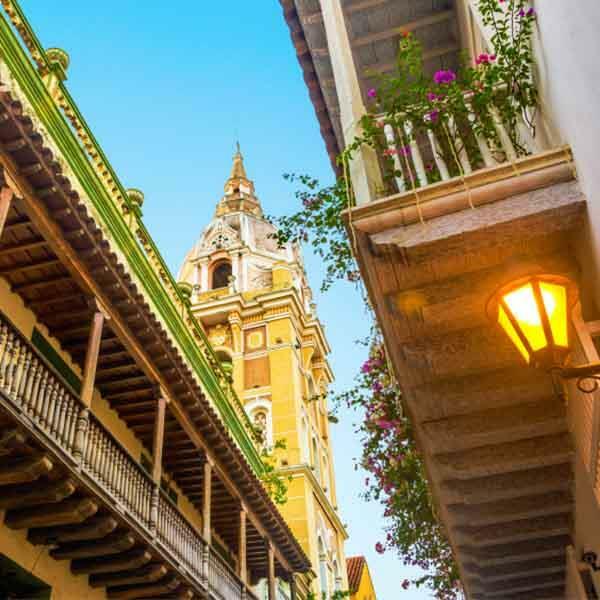 Best experienced at leisure, stroll through avenues dotted with colorful homes, passing by sweeping plazas, towering churches and the centuries-old wall that has protected the city since the late 1700’s on this free day in Cartagena. Consider stopping for lunch at the acclaimed Restaurante Donjuan Cartagena found in the heart of the city. A trip to the Caribe Museum is a must-see for jewelry aficionados. And for those seeking to simply relax in the comfort of the refreshing Caribbean breeze, miles of rocky shores are yours to explore just steps beyond the city walls. 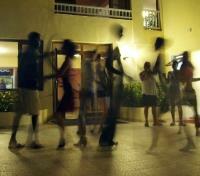 In Cartagena, the Salsa reigns supreme. Each night, locals set out to the many funky and vibrant bistro-bars that line the historic core of the city to enjoy live music, tasty cocktails and – if the feeling strikes them – to dance the night away. Tonight, meet your local guide and take to the streets of Cartagena, stopping at a trio of local venues to enjoy light snacks and drinks while learning the history Salsa in Cartagena and watching live performances. After a night on the town, your guide will return you to your hotel. 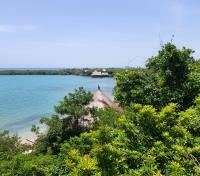 You will be privately transferred from your hotel in Cartagena to Hotel Las Islas on Islas Baru. After a brief drive to a local pier in Cartagena you'll board a privately chartered boat which will ferry you to Islas Baru. Approximate travel time is two hours. Whatever your reason for visiting Hotel Las Islas, you’re sure to discover a wide array of outstanding activities and experiences to ensure an outstanding stay. 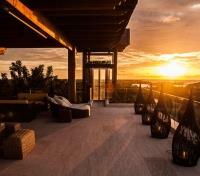 Take in remarkable views from the outdoor patio, stay in shape at the on-site gym, take a dip in the large and inviting swimming pool, settle in for a creative cocktail at the hotel bar, and pamper yourself with invigorating treatments at the property’s excellent spa. In the peaceful ambience of this unique lodge, unwind and relax as your stresses melt away. Reconnect and refresh your spirit amidst the white sand beaches and turquoise waters of Colombia’s Isla Barú. Located just 45 minutes from Cartagena, Hotel Las Islas is a sophisticated, environmentally conscious retreat, with luxurious accommodations and exceptional amenities. Settle into your immaculately appointed bungalow, with its views of the sea or of the neighboring Parque Nacional Natural Corales del Rosario y de San Bernardo. 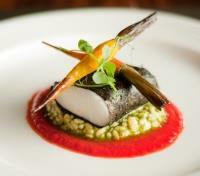 Visit one of the hotels restaurants and bars for locally sourced, expertly prepared cuisine. Relax by the freshwater pool, take in the views from the solarium or explore one of the many activities available at the hotel. Throughout your visit, you’ll enjoy the personalized attention of exceptional staff members, all of whom are committed to making your stay truly extraordinary. 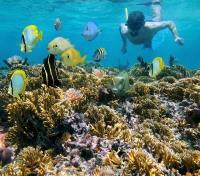 Hotel Las Islas is located on a peninsula of Corales del Rosario National Park. Host to the largest coral reef system in Colombia’s Caribbean coastline, it is an excellent location to participate in a snorkeling adventure. With over 170 unique species of fish on record, in addition to rare crustaceans and sponges, a say spent swimming near the shores should be at the top of your to-do list. Although snorkeling adventures cannot be pre-arranged, the helpful concierge team at Hotel Las Islas is ready to assist and organize a day on the water. Please note: This activity is not included and must be paid for on-site. Reservations are confirmed by the hotel upon arrival and is subject to availability and prevailing weather conditions. 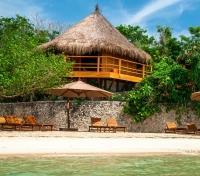 You will be privately transferred from Islas Baru to Cartagena. After a brief drive to a local pier on the island, you'll board a privately chartered boat which will ferry you to Cartagena. Approximate travel time is two hours.